Hi Lidia, love your article on the bilingual playgroup. There is really much to think about. I read that kids who learn a foreign language in early childhood demonstrate certain cognitive advantages over children who do not. I guess the more languages the better, as it will open many doors for our kids later. Thanks for your positive comment Conny. You’re right when you say that the more languages the better. Thank you so much for your post! I speak intermediate level French and would like my 16-month old to start learning French as well. 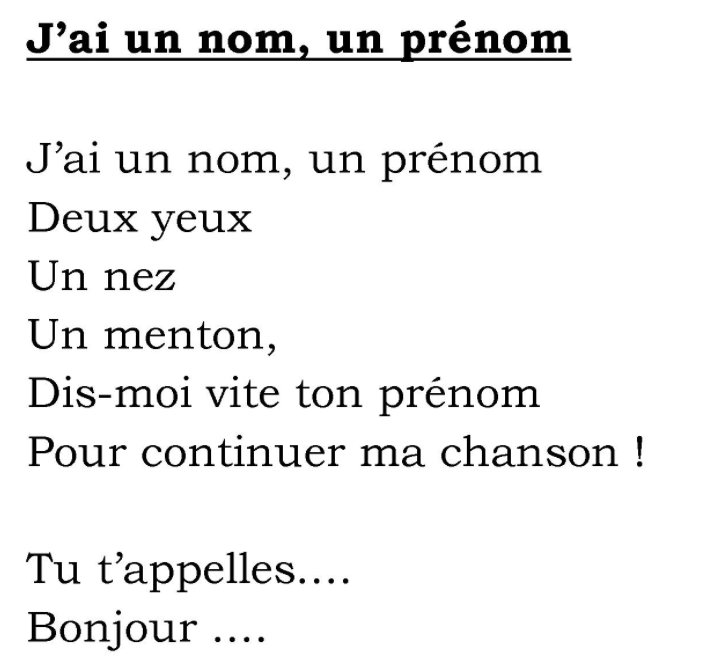 I am hesitant to speak to her primarily in French at home because I am not a native speaker, nor am I fluent. My husband also has no knowledge of French. However, we have an increasing French-speaking West African population in my town and I know many of these immigrants want to learn English. I was considering starting a bilingual play group and alternating which language is spoken during our meetings so children have exposure to both English and French. What are your thoughts on this idea? Also, you mentioned that the purpose of the playgroup is not to learn the language, but reinforce it. This makes sense. How do you recommend that we teach our daughter the foreign language if we are not fluent ourselves? Would the playgroup be a sufficient start? Or, do you think this will result in confusion and frustration? Thanks for your comment and for reading our blog. As your daughter is still fairly young, she will not mind that you start speaking to her in another language. At this stage she already understand English and she will hear the difference, she will know you’re speaking “differently”. However, she won’t care, as long as she can communicate with you. She won’t be embarrassed or feel different because her mum is speaking something “new”. She will just learn that a chair also a chaise and a plate is also use assiette. So, personally, I would just speak to her in French. You don’t have to speak to her all the time, if you don’t feel comfortable, but pick a situation, a moment in your routine, or do French when reading French stories… or just decide to do French for the whole day for a couple of days a week… see what you feel comfortable with. But, no, she won’t just learn conversational – conversational French attending one playgroup once a week for a couple of hours a week. She will learn things, however, she will learn the songs, and basic things like colours, etc if you do repetitive structured activities using those, the same as she would in a French class for toddlers. But, since, (I know this from my own bilingual playgroups) even though parents may be speaking French in French playgroup, children will often speak the local language, in your case English. For instance, my daughter has a very good friend who is also half Spanish, with each other they speak English, but then they turn to me or her mum and they speak to us in Spanish. However, a lot of the social interaction with their peers is in English. Personally, I would not advice to mix English and French in the playgroup. It is either an English playgroup or a French playgroup. Otherwise, it would be too confusing even for parents and very difficult to keep to one language for a bit and then change. It would be interesting as a “conversation exchange” playgroup, where children will play with each other, while parents improve their French and English with each other, but that is a totally different type of playgroup. If you want to help children work on their French, then you need a 100% French speaking playgroup. I think the playgroup, a 100% French speaking playgroup, would be a great start. For one, it will give you the chance to meet native French speakers and improve your French, thus, gaining confidence and that will give you the skills and confidence in yourself to speak it more at home with your daughter. You will make friends with kids of a similar age who speak French at home, therefore, having more and more interaction with “real” French speaking situations. You are still the key to French learning at home. Even if you describe your French as intermediate, it is much better than a person who can’t speak any, and you are the person who spends the most time with your daughter in real situations and real life, which puts you in a much better position to help your daughter than a teacher in a school who will see her twice a week for 45 minutes. 1. 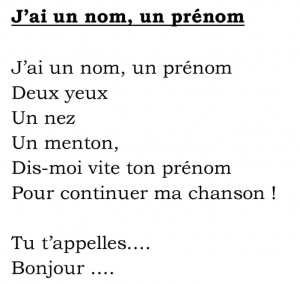 Decide on a schedule for French speaking at home. (story-time, Mondays and Wednesdays? Tuesdays and Thursdays?, mornings?, afternoons? etc. 2. Use cartoons, books, radio and any other materials available in French, like nursery rhymes. 3. Set up your playgroup. 4. Maybe find one of the local mums who wants to improve her English and teach her English in exchange of her and her children playing with your daughter in French every week for a couple of hours or so. 5. Improve your own French through conversation exchange, playgroup, etc. 6. The most important thing in learning a language is hearing, hearing, hearing and speaking, speaking, speaking… so, yes, even though you’re not fluent, just by speaking French to your daughter she will learn much more than in a class… so don’t let that stop you! I am a french mum leaving in NZ. We just moved to a new city where there is no french playgroup. I am thinking of starting one. First, I am not quite sure how to start. As you wrote above, they might not be lots of kids first so I might just do the first sessions at home and see how we go. I can see how it could be stressful to do it at home. I’ll have to make sure my house is tidy before people arrive. Any thoughts on this? What do you write on the flyer? I don’t want to specify age or level but i don’t want lots of non french people to turn out or kids too old to interact between them either. First of all, thanks for reading our blog! And well done for planning to start your own playgroup. 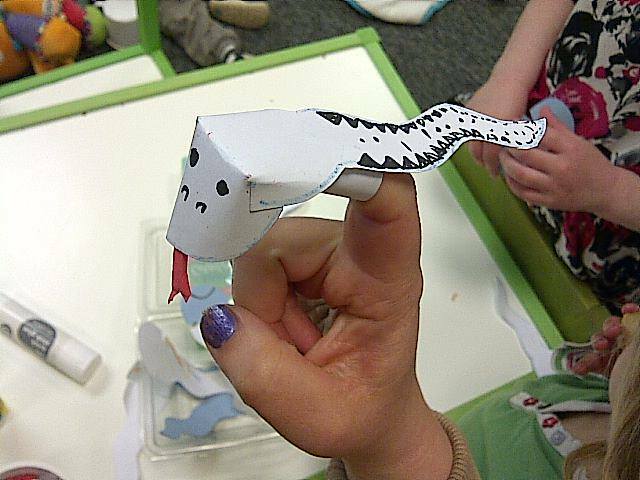 You have to have very clear what you want your playgroup to be and its objective and stick with those. One size doesn’t fit all, so you will find people who don’t come to the playgroup because it’s not their cup of tea, or it doesn’t offer what they’re looking for. That’s fine. It’s difficult to keep everybody happy. Just make sure you are clear about what your playgroup is, and you’re firm but polite. 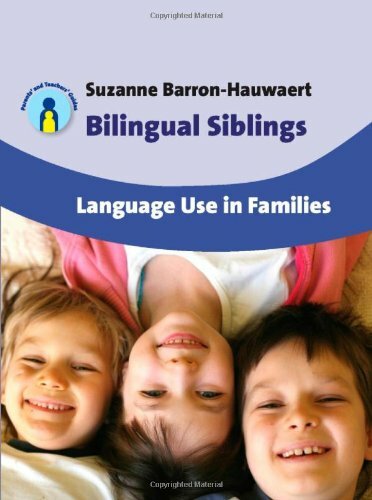 For instance, in my experience in both playgroups, Spanish and French, we get many enquiries from people who want their children to learn Spanish or French, but they don’t speak it at home, they don’t have any links with the language, and they think that passive listening once a week will suffice. This is not really what our groups are for. So, we make very clear on our flyers and websites that it’s for people already speaking those languages with their kids, and that it’s not a foreign language class. You can use some indirect techniques so filter through the families interested before they come to you. For instance, publish your information only in French, this way you make sure only parents proficient in French will be interested. Make sure you open the group to all French speakers independently of nationality. Say very clearly that it’s for francophone families who SPEAK French at home with their kids. Make it clear that the sessions are run ONLY in French and that you need at least an upper intermediate – fluent level of French to interact freely. Regarding the age, it depends on your situation and needs. For instance, when I started my French one, my oldest daughter was a baby, so I marketed the group as a “preschooler” group, 0-5. Most people starting had babies and it worked fine for me, now we have kids from 0 to 5 y.o. The age of the group is growing with the children. So, if your kids are under 5, I would also say 0 to 5. If somebody has a 6 year old and are really interested they will probably still contact you and ask you if it’s okay to come. So, you don’t really shut the door to somebody who may be happy in the group. With regards to the venue, I know people who have started the group in their houses. Our Spanish group in Bristol started like that over 20 years ago. However, some people may not be comfortable with going to somebody’s house. It depends a lot of the local culture and the space. In England it may be a bit more difficult because houses are quite small compared to houses in the US and NZ, on the other hand some people are used to doing groups in people’s houses, but other people from different cultural backgrounds may not be so comfortable, especially if they don’t know the other people. Don’t worry too much about tidying. You need one room which with a size suited to the need. I think for children under 5 you need the space as clear of breakable clutter as possible, with not a lot of furniture so there is space for the little ones to run/move around, and have some toys around. If you’re not comfortable with your house, then look for a suitable café or soft-play space in your area. Something child friendly, not too expensive, where they let you do a few songs and stories. I will send you an email from our petitesgrenouillesbristol account with some of our old flyers, so you can see what we do. But be polite but firm, don’t say “the group is NOT for A, B and C”, say “the group is for FRENCH SPEAKERS WHO SPEAK FRENCH AT HOME WITH THEIR KIDS… “, people who aren’t comfortable with French will filter themselves out! Also, in my experience people with young children tend to feel more comfortable in houses that are a bit “untidy” (but clean) than in houses that look like a model house from a style magazine. So, don’t fret too much about tidying! Could you please send me the flyers as well for the French play group?. I’ve read your blog and the response you sent to Audrary and would like to take these ideas and start a French Play Group in Bryn Mawr, PA. I really appreicate you pointing out some of the pitfalls of starting a bilingual play group. Thank you very much for such a detailed infortmation! 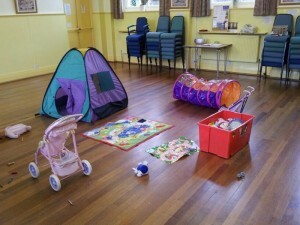 It sounds very real to organise a playgroup. I have two toddlers ages 3 and 1, and I want them to learn french. I speak french but not fluently. I have a nanny who speaks french but not fluently as well. I want to start a play group to encourage my kids to learn more but we live in an anglophone country. Any tips for the start-up? Firstly, I think you have to decide what type of playgroup you want. Children will not learn a second language just because they are exposed once a week for a couple of hours. Especially, since most children, even bilingual ones, will tend to speak the local language between themselves during free play. You may want to create a safe space for the promotion of French, where you meet other like-minded parents and their children, to learn a few nursery rhymes and a few words in French. You have to make clear to other parents that this playgroup is not a class, it is a playgroup where you will promote French language and culture and hopefully nurture an interest for the language in the little ones. However, I would not have high expectations in the sense of “bilingual kids” or “learning French”. Kids will learn some French, mainly vocabulary and little phrases, but that is not functional French. It will be a positive activity, you will meet other people, network, and hopefully develop a group that may want to take it to the next level in future. On the other hand, if you want to create a playgroup for children that “will learn” more functional French, you need to speak French with your kids at home, and you need to promote your playgroup as a group for people who speak French to their kids at home, and make it clear that it is not a “class”. This is very important, as from my own experience running playgroups, it is quite common to have monolingual children with not possibility of language input at home that come with their parents, who naively expect their children to just “pick it up”. This is a negative experience both for the monolingual child and the bilingual children. 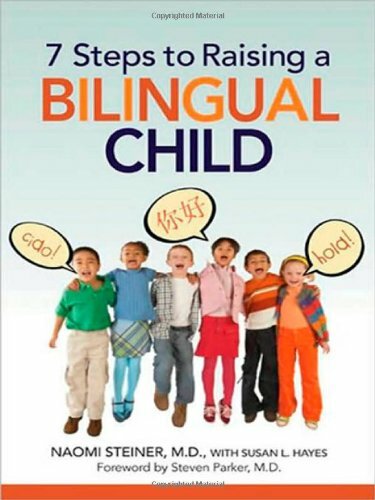 The bilingual children will just not feel encouraged to speak the minority language and the monolingual child will feel out of place, and will not really understand why he is being spoken to in a strange language by strange people. I think once you decide what type of group you would like to promote, then go on to the planning stage! Does anybody know a playgroup for Spanish kids in Ealing ?